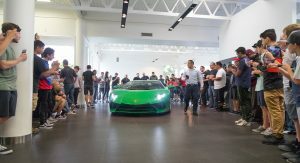 A unique Lamborghini Aventador SV has just been unveiled in the United States as a tribute to a particularly famous Miura SV. 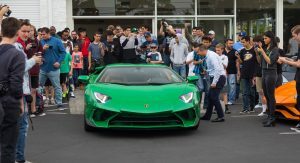 The product of Lamborghini’s Ad Personam customization program, this Aventador SV is painted in an exceptionally bright shade of green and features silver side skirts. 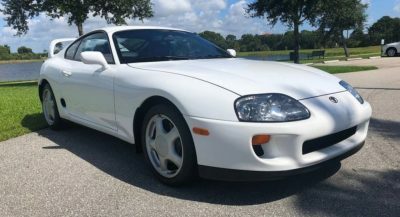 Unlike pretty much every other SV built, the body is largely free of any exposed carbon fiber parts. 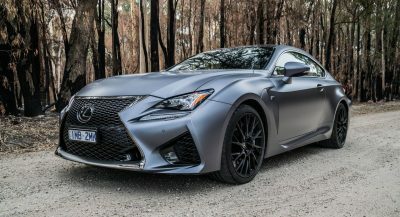 Instead, components like the air intakes, front bumper, splitter, and rear wing all share the same shade of green as the rest of the body. The exterior is completed with a set of multi-spoke silver wheels. Fittingly, the interior is also quite special as the seats, center console, dashboard, and roof lining are all finished in tan leather. Elsewhere, there are some carbon fiber touches, alcantara, and contrast stitching. 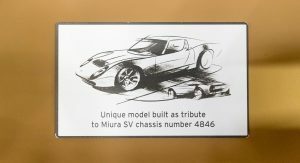 As mentioned, the car was built as a tribute to an infamous Miura SV chassis #4846. 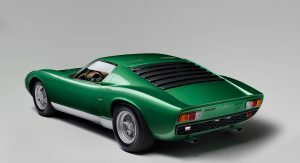 This Miura was an SV pre-production model and unveiled to the world on the Bertone stand at the Geneva Motor Show in 1971. 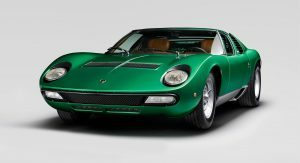 Like this Aventador SV, Miura SV #4846 had a green exterior and tan cabin. 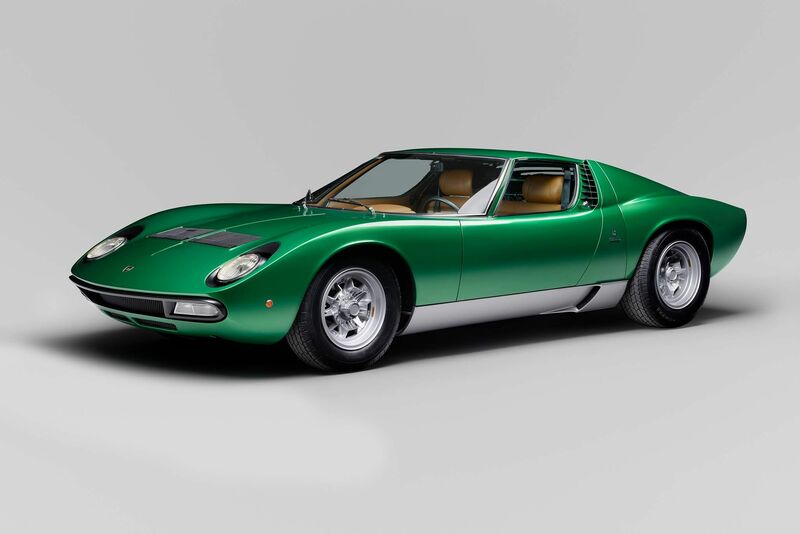 Sadly, it was repainted red by a previous owner but in 2015, was returned to Lamborghini where it underwent a complete restoration to its original configuration. It made an appearance at the 2016 Concorso d’Eleganza Villa d’Este. 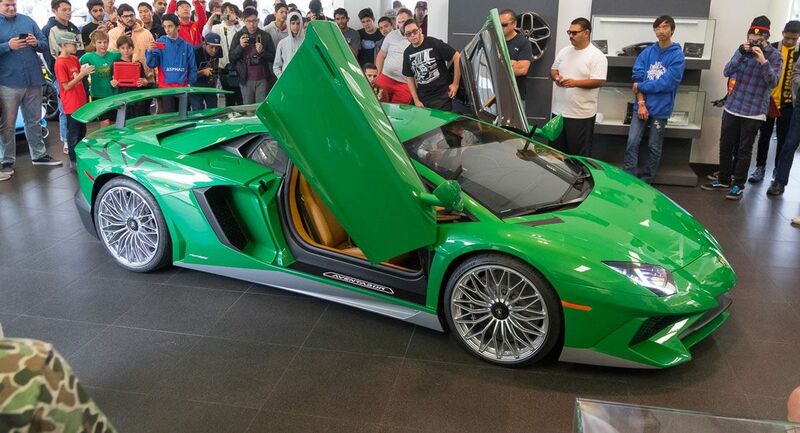 This Lamborghini Aventador Miura Homage Edition in Verde Scandal exterior looks better. The different wheel design certainly helps with the final look. Not a fan of the ones shown on the darker green one. 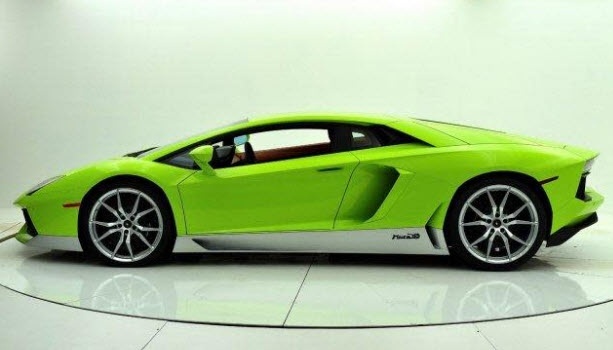 I like the green, not digging the 2-tone though. NOT A GOOD COLOR FOR EITHER CAR. 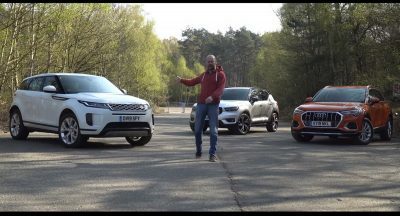 Basically all you paying is a badge saying this car is hommage to particular car. Talk about my problem with manufacturer “personalization” department. 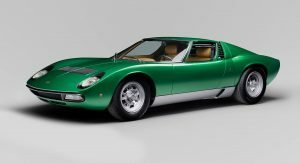 The Miura wore it much better.